I found another beautiful children’s book! Ramadan is approaching so wanted to review a couple more Ramadan stories soon, but before that, I wanted to share this gem that I found. It wasn’t available in my library but I reached out to Boyds Mill Press and I managed to get a review copy from them so was thrilled to get the book. Nothing beats holding a good old children’s book. I always love seeing the thoughts behind the book and found an interview with Maha Addasi about the book here and an interview with illustrator Ned Gannon here. My thoughts: I love how Addasi captured the relationship between the grandmother and Yasmin and how her grandmother teaches her about prayer in a unique way from buying a prayer rug, alarm clock, and even making Yasmin a prayer outfit. These little things really helped introduce Yasmin to prayer and its importance and make it fun! Muslims pray 5x a day, so it’s a big part in our lives. I admired how Maha Addasi really brought prayer down to a child’s level and made this book a smooth read. There can be so many prayer details, but she really brought this story to life and focused on the big picture. 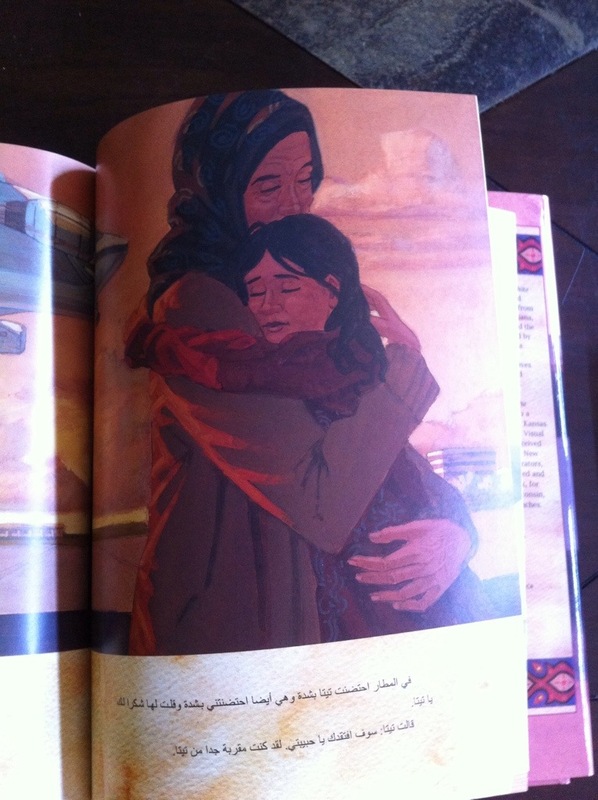 I also love the oil paintings illustrations and how you can see the love between the Yasmin and grandmother. Another part I liked is how they show the grandmother at home without her hijab and when she goes out she’s wearing hijab as it’s realistic. I don’t like it when the character wears hijab 24-7 at home as that’s not realistic. Z’s thoughts: Z loved the page where they show the grandmother praying in different positions and liked seeing the little girl and her grandmother at the Masjid. 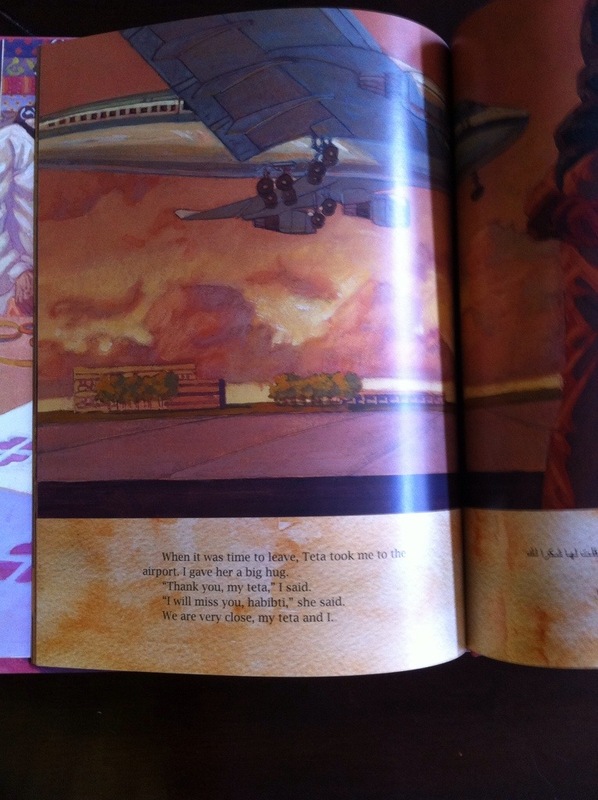 My mother also enjoyed this story too – I thought it was such a beautiful book I brought it to her house the other day! Link to Look Inside! feature on Amazon. 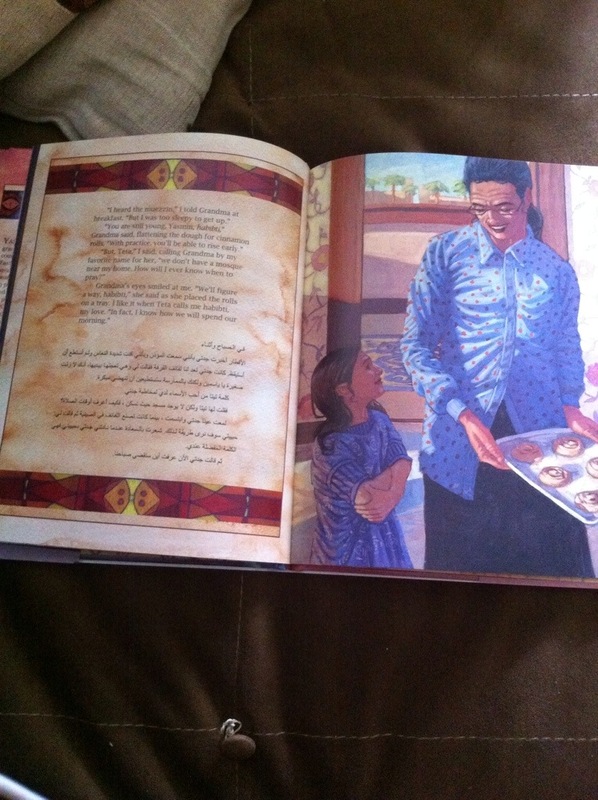 the book also has Arabic text! how cool is that?